In Demand-driven Production with Just-in-Time inputs, there are several sources of uncertainty which impact on the manufacturer’s ability to meet the required customer’s demand within the given time frame. This can result in a loss of revenue and customers, which will have undesirable impacts on the financial aspects and on the viability of the manufacturer. Hence, a key concern for manufacturers in just-in-time production is to determine whether they can meet a specific level of demand within a given time frame, to meet the customers’ orders and also to achieve the required revenue target for that period of time. 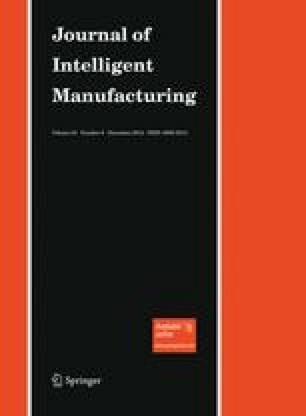 In this paper, we propose a methodology by which a manufacturer can ascertain the probability of not meeting the required demand within a given period by considering the uncertainties in the availability of production units and raw materials, and the loss of financial revenue that it would experience as a result. Agervald, O. (1980). Demand driven manufacturing offers and delivers improvements. Manufacturing and Logistics IT Magazine. Available at: http://www.logisticsit.com/absolutenm/templates/article-critical.aspx?articleid=480&zoneid=31. Tony, S. (2004). History repeated as Apple slams CPU supplier. http://www.theregister.co.uk/2004/07/15/apple_cpu_grumbles/.